Snow Crown Series Koldwave Fat Bike Race Sunday, Jan. 28, 2018 in Sturgeon Bay. Photo by Len Villano. Kewaunee County is gearing up to bring fat biking to its parks. The Promotions and Recreation Department is partnering with Broken Spoke Bike Studio in Green Bay to create winter trails at Ryan Park and Riverview ATV Park. 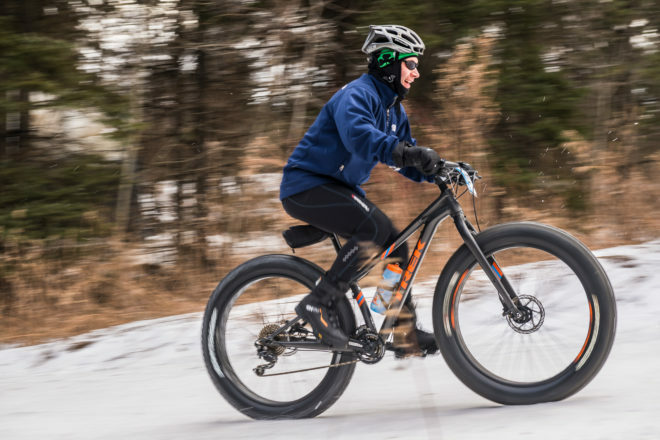 Broken Spoke Bike Studio is sponsoring a February race on the trails at Ryan Park as part of the Snow Crown Fat-Bike Series presented by Nicolet National Bank. The “White Cap” is Feb. 9, 2019. Participants can register online here until Feb. 7, 2019 or on site the day of the event. Hey Hey 5k Fees Increase Sept. 1st!